Snacks are my downfall. Always have been, always will be. Over the years I’ve gotten better with what I choose to snack on. You can almost always find me eating rice crackers and hummus, apples and peanut butter or roasted chickpeas; but then I also go for things like Pirates Booty, Veggie Sticks and tortilla chips and salsa. Common theme here; salty and crunchy. I had a bag of frozen edamame beans sitting in my fridge forever. I checked the date (no I didn’t) and decided to thaw them out and roast them into a salty, crunchy perfection. 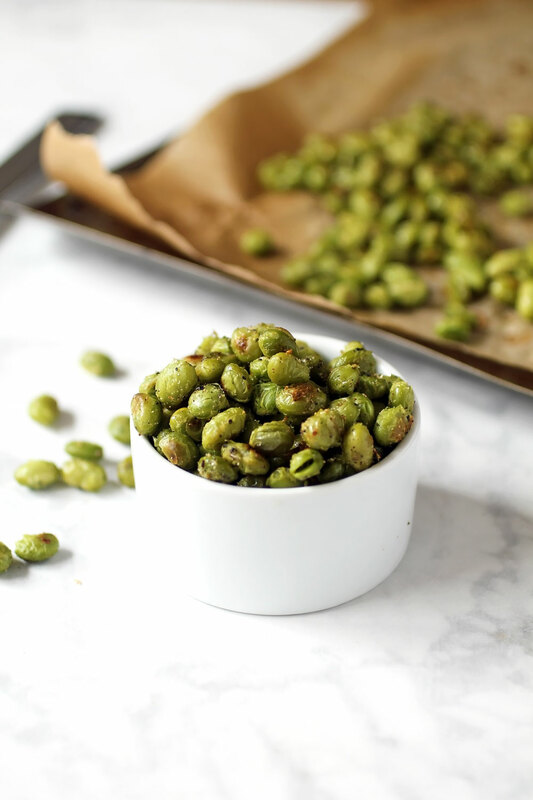 This is the easiest snack to make! 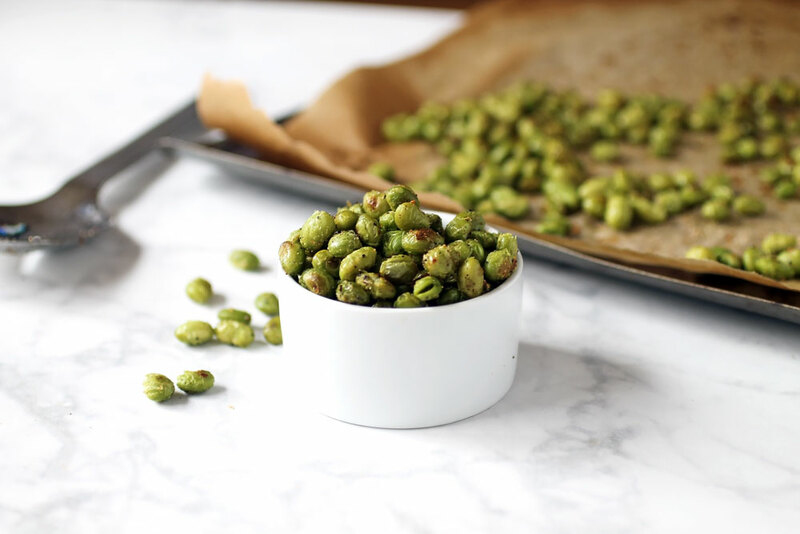 Plus, edamame beans are loaded with protein and fiber. And I know there is the whole soy thing, but we’re all about moderation here. 🙂 Feel free to jazz these up with whatever spices you’re craving that day! Pat the edamame beans really dry, and then add to a mixing bowl. Drizzle with olive oil, and season with sea salt, pepper and garlic power to taste. Mix through. 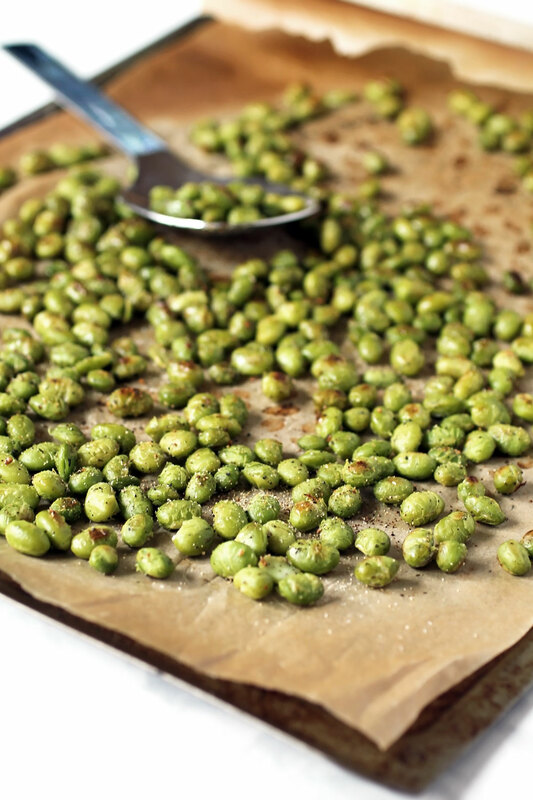 Spread on a baking sheet lined with parchment paper into an even layer. Bake for 15-18 minutes until crispy. Snacks are my downfall too. These look perfect! A delicious salty snack that packs protein, I love it! In the summer I’m (we’re) always snacking. Love how easy this recipe is! 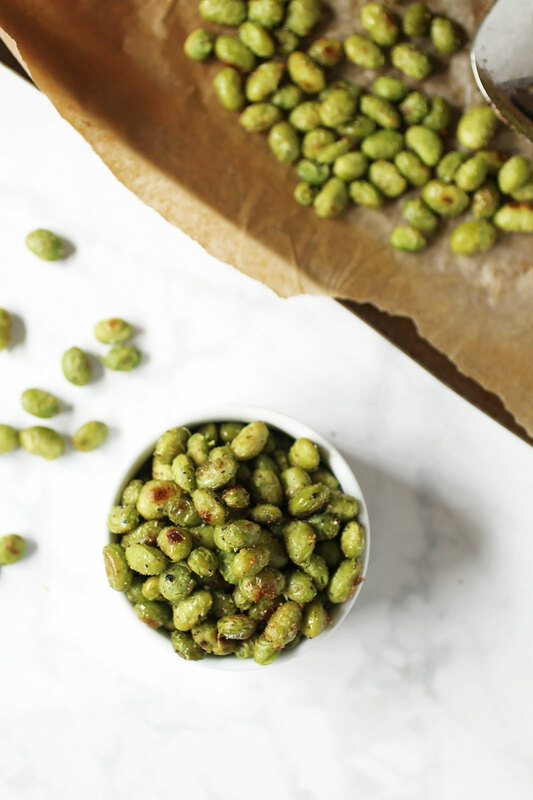 Perfect crunchy snack for when you’re craving something salty and savory!